LG, like many other OEMs, usually locks down their bootloaders with an airtight seal. There are a few good reasons for this, the big one being that an unlocked bootloader technically compromises some device security measures. LG would also argue that unlocking your bootloader is absolutely pointless, as having it locked will not hinder normal device usage, which is kinda true. A locked bootloader might not affect normal device usage, but it does hold the phone back from unleashing its true potential. Like most phones, the LG V20 comes with its fair share of bloatware from LG, as well as the carrier that you purchase it from. Such bloatware can't be removed without rooting, and it bogs down your phone—not to mention the "skin" that LG throws on top of AOSP Android. But in order to root your device and get rid of these issues, you'll need to unlock your bootloader first. This will allow you to flash custom images like TWRP recovery which, in turn, will let you root your device, or even install a custom ROM. So if you want to have full control over that expensive LG V20 you bought, unlocking your bootloader is the first step. 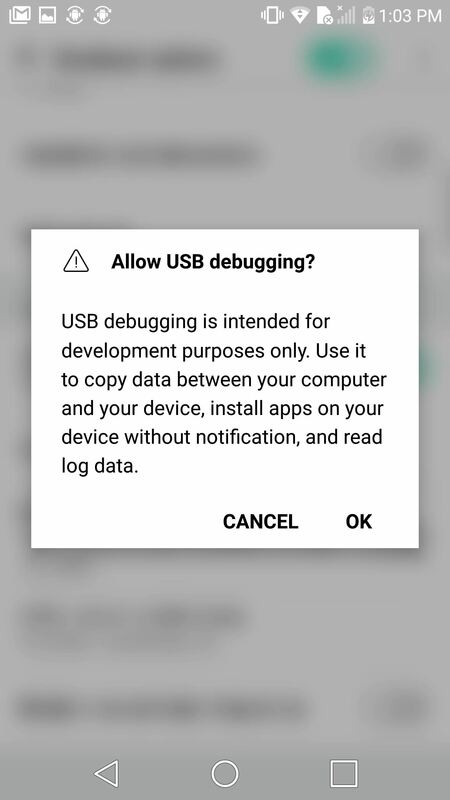 Like with all Android phones, if you want to unlock your bootloader, you have to activate the hidden Developer options menu in order to select "Enable OEM unlocking" and "USB debugging." 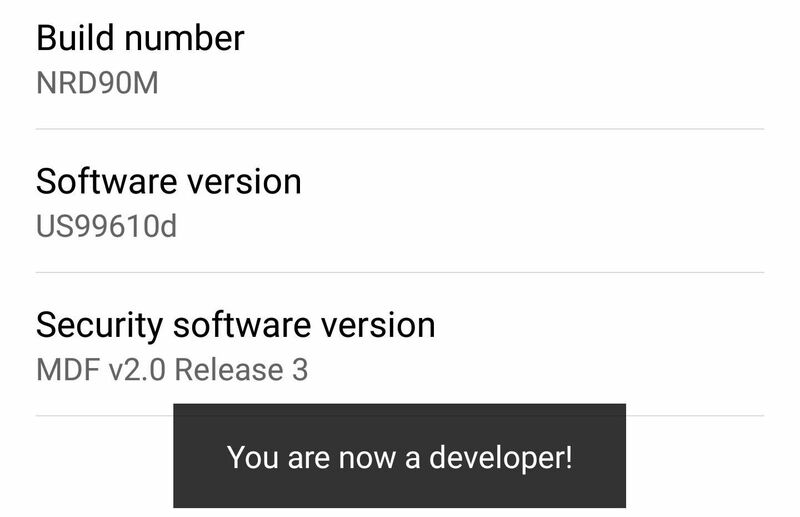 Open up Settings and navigate to About phone -> Software info, and then spam-tap "Build number" until you get a toast message stating "You are now a developer!" After successfully doing this, tap the back arrow and open up "Developer options" (it'll be right above "About phone"). In this menu, you'll need to enable two things. The first is "Enable OEM unlocking" and the second is "USB debugging". You'll want to go to LG's bootloader unlock page and use your LG developer account to select your device (LGUS996) from their list to begin the unlock process. You'll need your unique Device ID and IMEI number in order to proceed. Getting the IMEI number is easier, so let's do that first. Go to Settings -> About phone -> Status, then enter the number under the IMEI section into LG's form. Now to get your Device ID, you'll need to plug your phone into your computer. When you do, you'll see a little notification from Android System stating that your phone has been connected for charging. Tap on it and select "Photo transfer" in order to make ADB recognize your phone. Make sure to check off the "Always allow debugging" option that will pop up around the same time. Open up command prompt/terminal/command line (use the one corresponding to your OS) and change directories to the platform-tools folder inside of your ADB installation directory. From there, type in adb reboot bootloader, hit enter, and your device will reboot into fastboot mode. In fastboot mode, type in fastboot oem device-id, followed by enter, and copy just the numbers into LG's form. Submit the form on LG's developer website after you fill it in. LG will process your model number, Device ID, and IMEI. Then they'll send an "unlock.bin" file to your email if everything was entered correctly and checks out. This next part will factory reset and completely wipe your phone, so make sure to back up your data before proceeding. 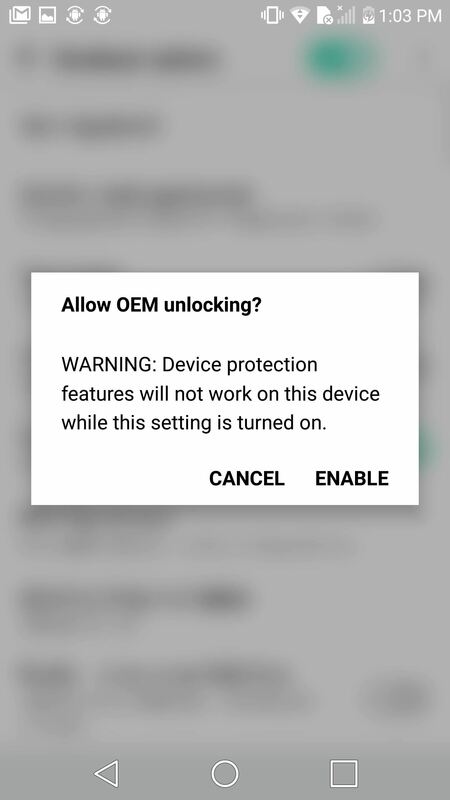 Your phone might ask you to confirm the unlock and will warn you that your data is going to be wiped, but just hit the power button to proceed. Once you have, that's all there is to it. You can now install custom images like TWRP through Fastboot, and then root by flashing SuperSU in your new custom recovery. I have a LG V20 (VS995), I use it from bangladesh, you told need LG developer account for "unlock.bin" file, now my question is when I create LG developer account, which country I'll select? US or Bangladesh? I live in bangladesh but phone is LG V20 (VS 995). Now what can I do?